Winston Churchill leads a charge against Adolf Hitler's army in the early days of World War II. 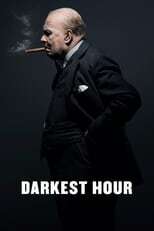 Darkest Hour is directed by Joe Wright and was released on Dec 22nd, 2017. Director Joe Wright's Drama & History movie Darkest Hour is produced by Perfect World Pictures & Working Title Films & was released 2017-11-22.